Editors Note: This set is a 600 denier polyester set. 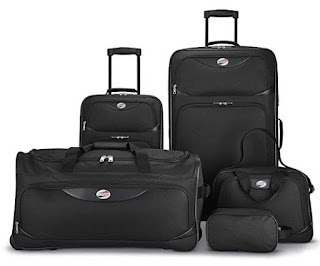 While American Tourister is a owned by Samsonite which makes excellent products, if you are looking for a set to last for a very long time, look for something with a higher denier count (eg: such as a 1200D or 1680D set) or a Hardside Luggage Set. Denier explained: The denier numbers will indicate the amount of yarns within each thread, with 600 denier containing 600 yarns within each thread etc. Essentially the higher the denier number, the more yarns within each thread, the thicker the weave, and the stronger the material.